Harman Scott has has much experience of conservation and repairs projects, including Listed buildings, bringing new delight and uses to the enjoyment of older properties. It is worthwhile having an architect review your ideas in relation to your building. Much experience and skill is applied to find solutions that, for example, adapt a building while solving poor energy performance and yet do not create problems elsewhere, such as moisture build-up and eventual rot of timbers and fabric. An architect can be asked to regularly check for dry rot in a building at risk. A stitch in time saves nine! 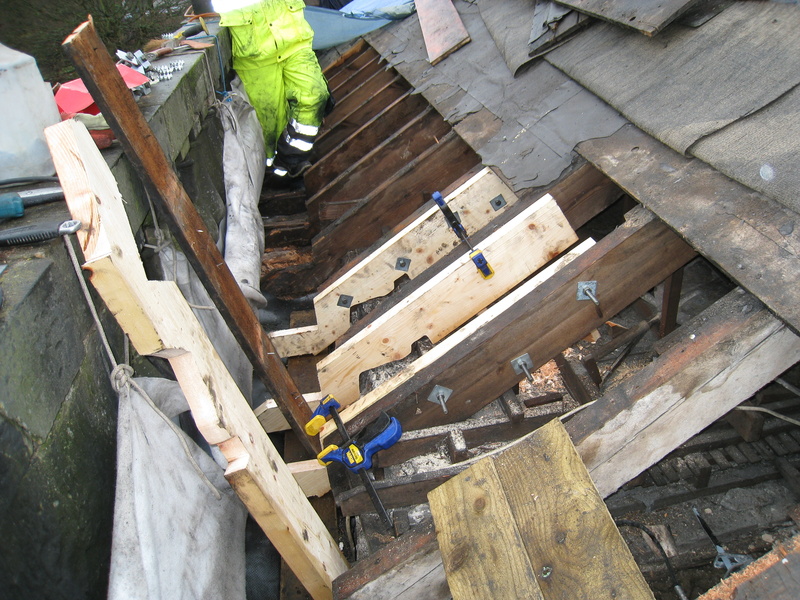 Dealing with rot is not simply a matter of repair and reinstatement, but also of carefully considering the construction of the buiding and designing in practical terms the measures required in principle by the treatment company’s ‘small print’ terms and conditions, to avoid their guarantees being made void. Even then, guarrantees often only cover re-treatment, not the reinstatement, the latter being by far the largest part of the cost. Planning a sequence of repairs works with a contractor to minimise disruption and rain penetration in an occupied building can be very difficult for a building owner to manage without expert help. Buildings Insurance sometimes covers repairs, depending on why faults have ocurred. The architect can help provide evidence to your insurance company in making a claim.